The Festival Season expansion adds a fifth season to the year:  festival season. More time to build your dungeon, but also more time for adventurers to gather a larger party. There are new monsters, rooms, and traps to prepare your dungeon for the battle, but also new nasty spells for the adventurers and sneaky bards who encourage them to perform so-called "heroic" deeds – not to mention two paladins for each year, now ready to punish up to two evil players. 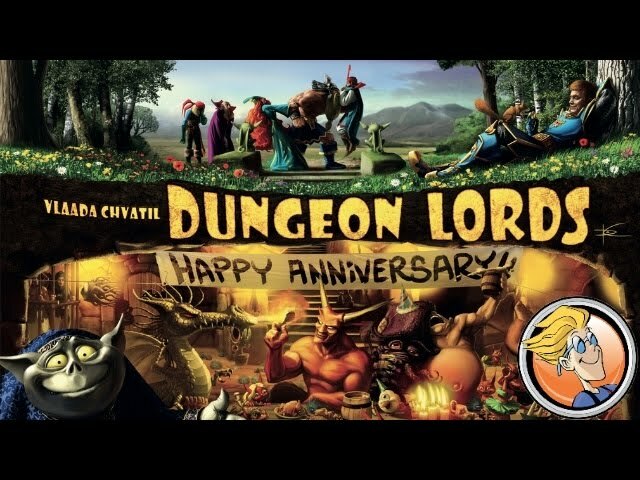 Time Well Spent GamesDungeon Lords "Happy Anniversary"